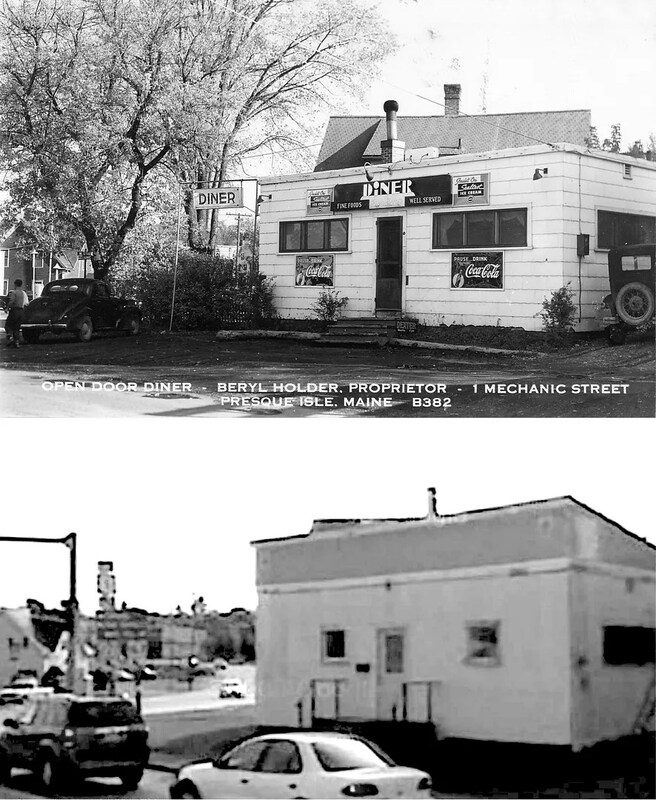 The Open Door Diner, an early homebuilt in Presque Isle, Maine, as it appeared in the late 1930s, and as the building looks now. Great Then and Now photos; you really are the best diner hunter on the net, keep up the great work. Should you see any Silk City Diners, please give me a shout.